Great check-up and a message to Roger! 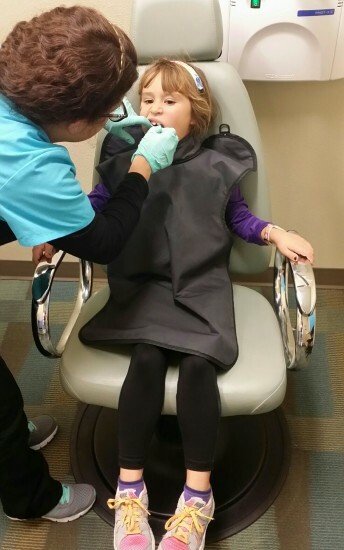 Great check-up at the Dentist! No cavities and probably no baby teeth out for at least 18months. Eye teeth are poking through and molars are all now adult teeth. Great job Grace. Great check up at the dentist! 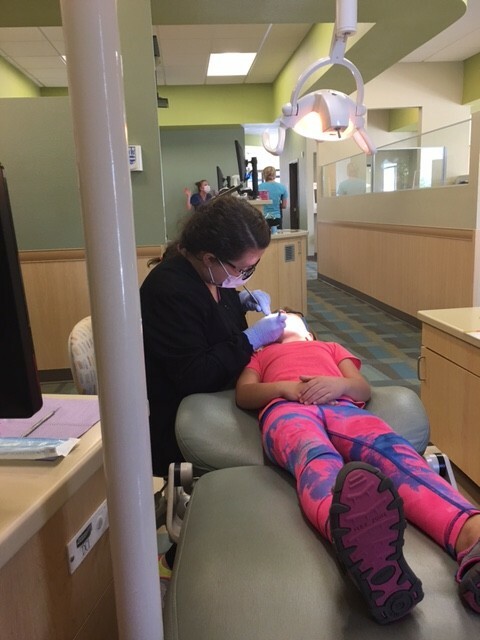 Well, time to fill a little cavity, we’ve been working hard to avoid cavities but a tiny one snuck in. Here Grace gets the laughing gas…..
Click on Dentist Visits (below) for other visits to the dentist. 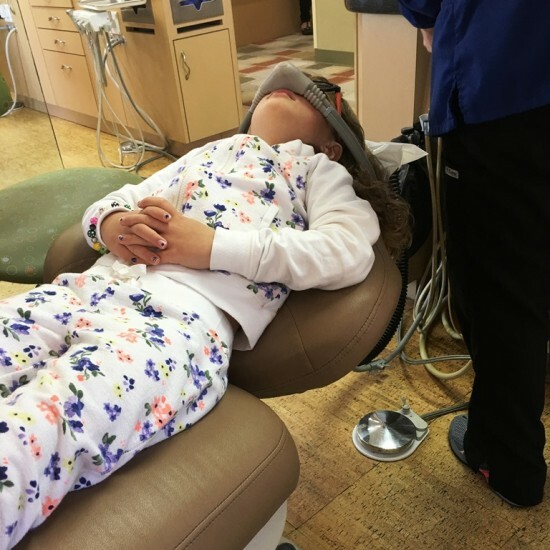 Great job at the dentist, but not a perfect checkup. 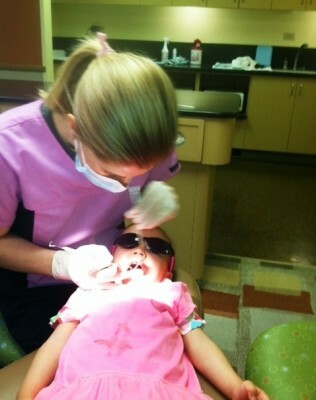 Best dentist appointment yet!! Teeth look great -including the new ones coming in! 6-year molars are also coming in, and the Dentist wants to seal them on an upcoming visit to help prevent decay. Many permanent teeth are visible in the x-ray and all look to be in very decent position, better than mom and dad had speculated from the first two lower teeth that have made themselves visible. 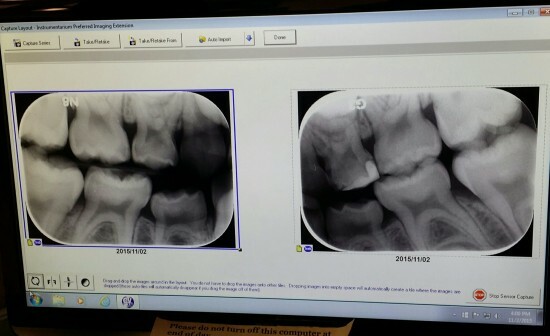 Dentist said even those two new teeth look good and will straighten out. 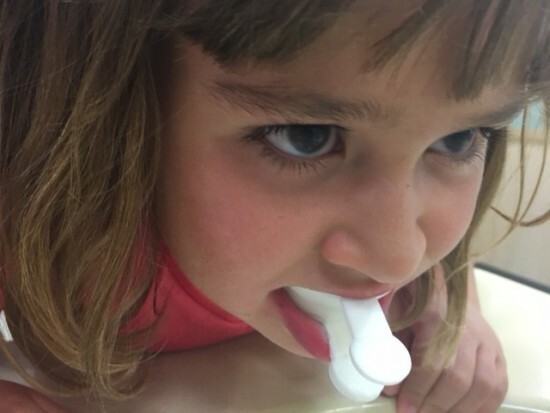 And, the two big front teeth are positioned to come in and fill that current gap between the top two front baby teeth. ** And, 94% score on brushing. While room for improvement, this is the best score yet!!! Yeah, let’s keep tracking forward!! 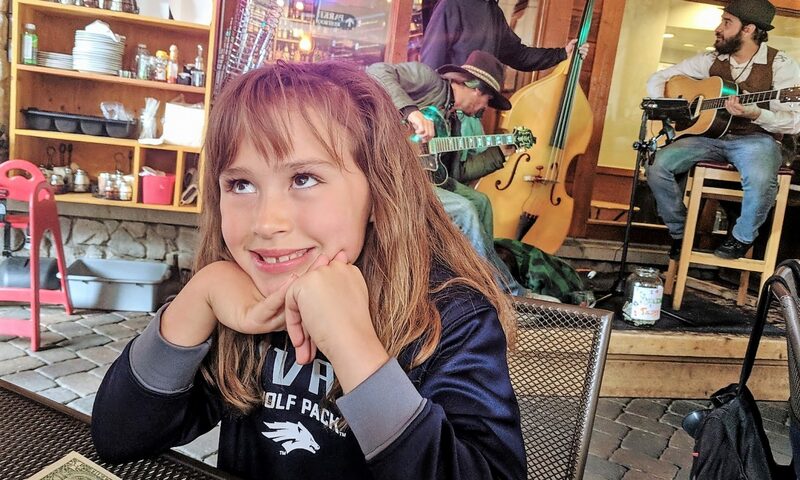 Not much classroom time remaining if we go back to school …so Grace and dad will play hooky to celebrate this great appointment!! Shhhhh, don’t tell Mrs. Kattelman!! Click Image To View Pictures! 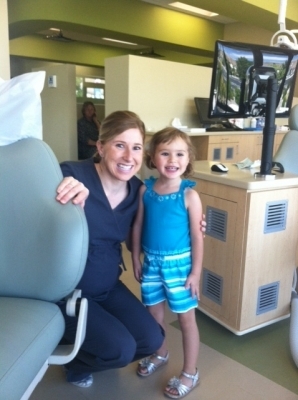 Dr. Stoker says “keep up the great work”. Grace LOVES going to see her Dentist Dr. Stoker. She’s been talking about her “Dr. Appointment” all week and this morning she woke up more excited than Christmas morning. 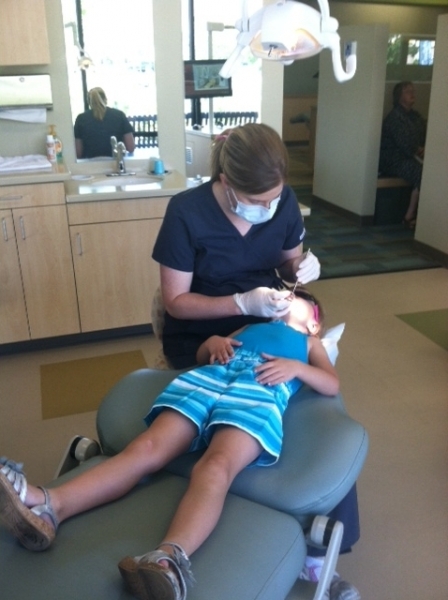 A bonus for mom and dad: Her dentist opened an office very near our home so we don’t have to trek across town anymore. Mom was sleeping after a big night at work, so this time it was just Grace and Dad. This was Grace’s 3rd regular check-up but there was one emergency visit when some jumping on the bed frivolity turned into face into the corner of the nightstand frivolity. 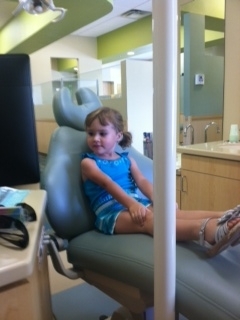 So her 4th trip to the dentist, and her last of age 3. Today’s checkup started with plaque die, then a cleaning and such, then x-rays and then the last third or so was an examination with Dr. Stoker! A+, no cavities and a GREAT attitude. 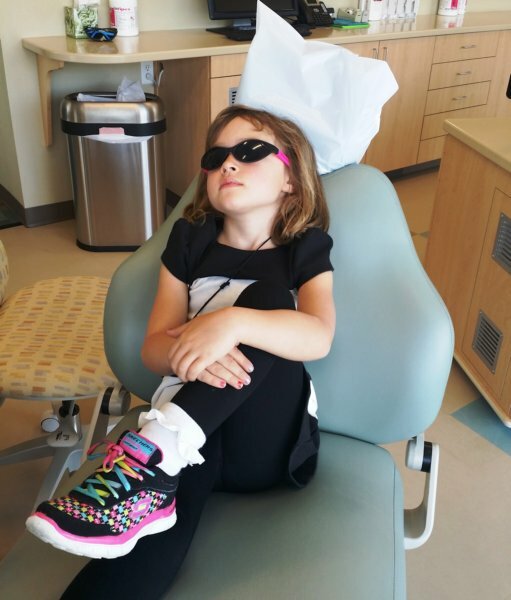 If you’re a dentist you should get in line to have this Grace as your patient. 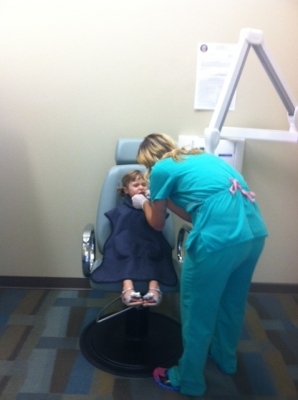 Grace and her dentist: Dr. Stoker -Please click Image to see all of the pictures. Be sure to click on image and see all of the pictures! 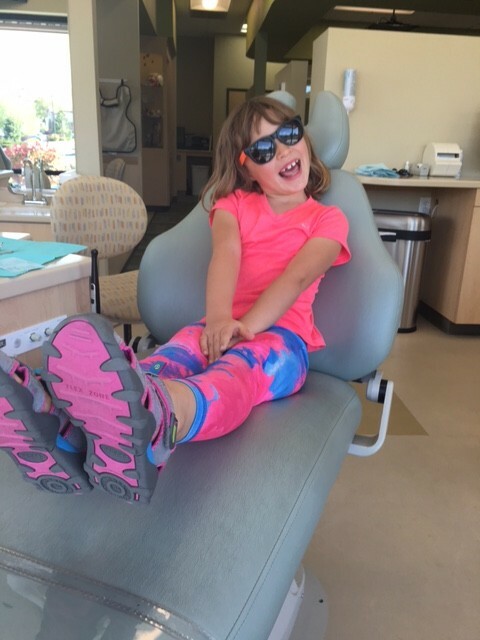 Best Girl Ever -Dental Checkup. 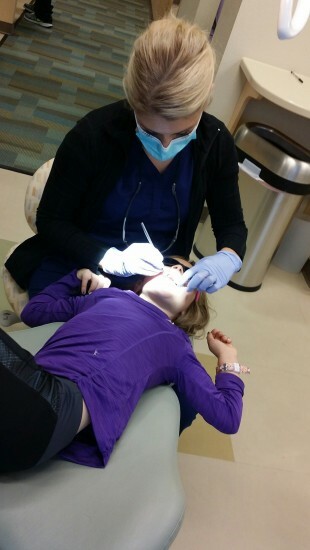 Grace went to the dentist today ….and she was awesome. 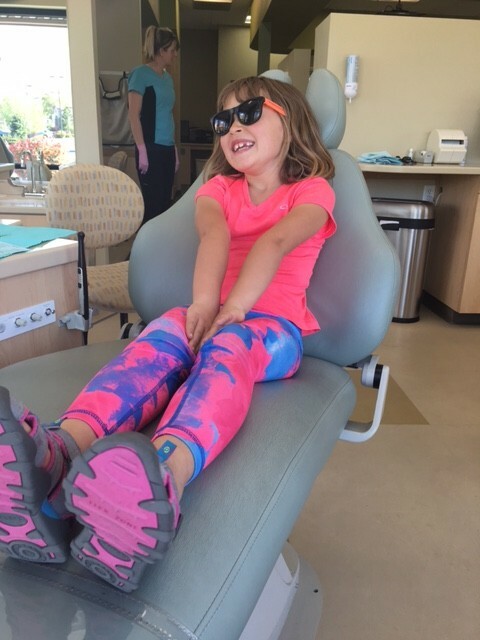 She sat in the big person chair for the first time and impressed the whole staff with both her behavior and wonderful teeth. She’s truly amazing. Here is a picture from mom’s iPhone, more pictures coming later.